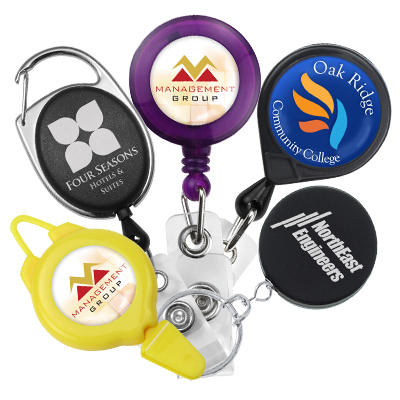 In addition to the standard and pre-printed lanyards, we also sell custom printed lanyards for corporations, non-profits, colleges, organizations, and sports teams. 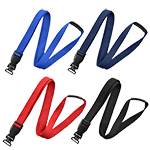 Need bulk purple lanyards with a silver logo and break-away clasp? We have them in stock and ready to ship! 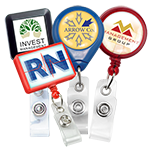 Great for marketing promotions. 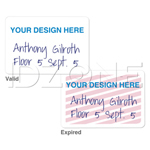 Looking for breakaway ID lanyards? Click on any of the sizes below to select either standard or break-away. 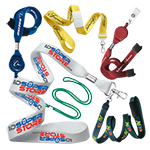 Schools, prisons, and organizations that require extra health precautions choose safety breakaway lanyards for their ID badges to mitigate any choking hazard. 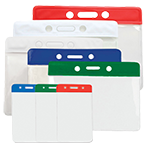 Do you have questions about ID accessories? We have answers! 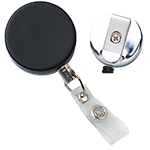 Why are ID accessories important? What is a slot punch?